Ski Capital Services Limited believes in giving efficient stock Broking services which will fulfill every type of client portfolio. It is a stock broking house which is quite established and is premier financial. 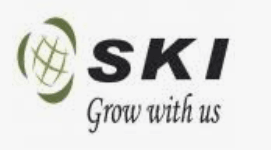 The headquarters of SKI Capital are in New Delhi and the regional office is in Chennai. SKI Capital has got quite a history of first being incorporated as private company on 15th July 1993 and then changed into a Public Limited Company on 29th September 1993. SKI Capital was founded by Narinder Wadhwa. They always take client’s needs at first and take honour in satisfying the large number of valued customers. The brokerage percentage that is listed above is done as per the nominal market rate for its traders and as per the transactional value, the charges will be levied. SKI Capital charges within 0.2%-0.5% on equity delivery trading, Commodity options trading and for Equity futures trading. The Stock Broker tends to offer for Rs.20-Rs.50 per lot in Equity options trading, 0.02%-0.05% for Currency futures and Currency options for Rs10-Rs.25 per lot. Minimum brokerage are charged depending on the percentage of transaction whereas Demat AMC gets Rs.499 per annum and Trading AMC charges are free of cost with traders getting easy access to trade with zero margin. Apart from the Brokerage charges, other additional charges are also levied like transactional charges is 0.00323%, STT charges of 0.0126% of total turnover, SEBI Turnover comes in 0.0002% of total turnover. Stamp duty gets charged depending on the States but it’s very minimal and GST gets added of about 18% of (Brokerage+ Transaction Charges). Account opening gets charged for Rs. 200 only whereas Demat AMC charges for Rs. 499 per annum. Trading AMC comes in free and the traders are not asked for margin money at all from the stock broking company. The company offers for free trading account, discount on brokerage and have flexible brokerage plans. But no offers for holiday, referral, trading happy hours and on free demat account. How to Open a Demat Account with SKI Capital? The second step comes when you will have to submit KYC documents including Aadhar card, PAN card, Address proof, Age proof, Identity proof and one photograph. After your documents get uploaded, you’ll be called by a concerned person for further verification. When the verification process is completed, SKI Capital will give you full authority to run your demat account. Why Open SKI Capital Trading Account? Demat account has been brought for your own share safety. Trading account is necessary for trading and thus needs to be secure. The well trained experts help you to choose the right investment solution. SKI Capital enlisted the investment done in the products that are served which includes Equity trading, Commodity trading, Currency trading, options, futures, mutual funds, SIP and Insurance. Forex and Banking are not served by the broking house. The company will remain at your service for demat, trading, intraday, IPO, Stock recommendations. Trading exposure will remain up to 6x. The most powerful and fast stock broking house offers a dedicated research team. The in-depth research is done which provides all types of research & reports like fundamental reports, research reports, company reports, Annual reports & more. SKI Capital also provides free stock tips, IPO reports, top picks, daily market reviews, monthly reports, weekly reports, offline advisory and then a dedicated relationship manager to their clients. SKI Capital has maximum exposure of 6x to its users. The extensive exposures that are levied are given by Intraday and Options. For easy access to SKI Capital trading terminal, you need to install the platform on laptop or either on mobile phone. The trading terminal has easy money transferring from different banks, high speed performance. The company is also available for global tips. Fast trading and easy trade execution. For informing investment decisions, an easy access to the charts and custom watch lists. Investments are easily managed with secure access to the account. Research and advisory, Mutual funds, Personal loans come in a single app. SKI Capital has 920 branches in total. For easy communication, you may email to the broking house for your queries or doubts. You can contact to the register office, corporate health & wealth office and regional office. The table shows clearly of how much customers are satisfied with the management, efficient services given by the SKI Capital. The users tend to enjoy the simplify investment procedure in their financial markets. There are neither 24*7 supports nor chat support available. Windows platform and other mobile OS platforms are not available which makes the process slower. There is no multi account management. The main aim of SKI Capital has been to produce a wide range of products that can serve for diverse customer portfolio. We are always available for assistance at your doorstep. There are multiple life insurance products that are offered by SKI Capital like Endowment plans, Children life insurance plans, ULIP plans.